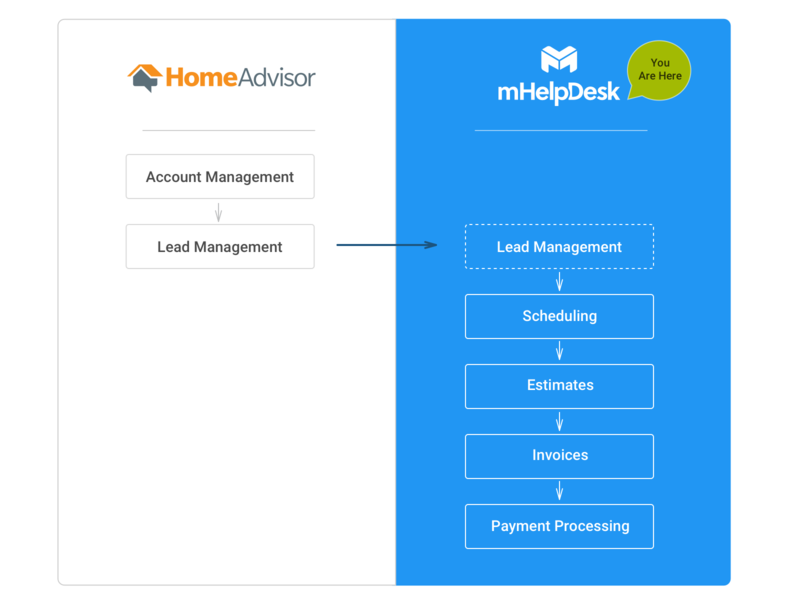 If you're coming from HomeAdvisor, you're probably wondering what the differences are between HomeAdvisor's app and mHelpDesk's app. You'll notice that both apps give you the ability to view your leads. But that is where the similarities end. HomeAdvisor only helps you manage leads. On the other hand, mHelpdesk helps you manage everything from lead all the way to getting paid! That means, mHelpDesk will let you view your leads, schedule an appointment with them, send them estimates, send them invoices, and even take payments online. In fact, mHelpDesk does a lot more than just that. There are even tools that help you manage recurring contracts, scheduling, mobile field services, and so much more. Interested in learning more? Check out our mHelpDesk YouTube videos.